Maybe you want to buy a printer for your home office, or you may need a new projector for your small businesses. 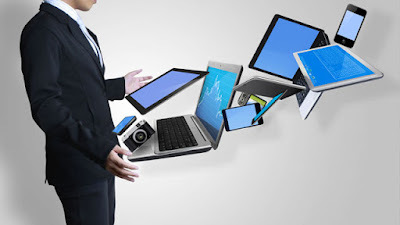 Buying electronics is a routine aspect of running a modern business. If a company is not well equipped with the latest gadgets, then the in-house productivity and efficiency may suffer greatly. Buying electronics is also one of the most expensive aspects of running a company. Most manufacturers sell business-grade hardware at premium prices. However, if you are vigilant enough, you can avoid paying extra when buying a new gadget for your company. Here is a list of suggestions for keeping costs down when acquiring new electronics for a small business or a home office. This is the most rudimentary consideration when buying gadget for either business or personal use. First, think carefully about whether you really, really need the item you are about to buy. Don’t buy an electronic item hoping that it might be useful in the future. Don’t make double purchases thinking one might not be enough. Also, don’t acquire gadgets just because a competing business has them. Your company could waste money and space when you purchase electronics that the business doesn’t really need. Evaluate your needs and purchase only the things that the company genuinely needs. Branded items are often more expensive than generic gadgets. However, this is not necessarily due to better quality. More often than not, consumers pay premium prices just for the appeal of the brand, and not for additional features or higher quality build. So it’s worthwhile to sit down and consider whether the company can acquire a generic version of the gadget in need. There’s nothing wrong with buying generic versions of things like headsets and smartphones. But it’s best to buy branded items when it comes to more expensive devices like printers and laptops. If you want to get the best deal for the electronics the company needs, then a hefty amount of research may be in order. Start by reading recommendations for the item you need. There are countless tech websites listing the best printer, laptop, headset and whatnot. But do keep in mind that these sites sometimes plug in sponsored products. The only exceptions are the legitimate news websites that sometimes post review articles for gadgets. Also, these sites may be biased towards popular branded products. You can find more affordable options by reading content that specifically promote the best budget electronic gadgets. Usually, the target audience for such sites is the cash strapped college grad, but even businesses on limited budgets can benefit from the suggestions. Don’t make your decision based solely on prices listed on Amazon or Best Buy. Compare prices on multiple different websites before you make your decision. You can go to the websites of the manufacturer to find out the prices for factory originals. Often buying directly from the manufacturer is cheaper, but you may not get a returns policy or a guarantee. You can get the deal most advantageous to you only if you are willing to spend some time researching the prices. Used items are of course cheaper than newer ones. However, for business use, it’s never wise to buy used items. Businesses often use electronics heavily. Used items may not be able to handle the demand. So, even if you get a bargain deal, you may end up spending thousands of dollars more, months later for repairs. Always buy items new for your business along with a guarantee. Alternatively, you can consider refurbished items. These are old gadgets restored by a manufacturer to function just like new. Refurbished products are more expensive than used goods, but are still cheaper than buying new, and is a better alternative than getting a dubious used gadget. Certain electronic items have proprietary designs. Meaning, only the manufacturer can repair or alter the product. For example, if you buy iPhones for your employees, you will have to go to Apple to repair the iPhones that break. As designs for certain electronic gadgets are very intricate, it’s very wise to purchase from a manufacturer than offer repairs for free or a discount rate. Repairing certain broken printers or projectors can sometimes be extremely expensive. Therefore, always purchase items that can be easily repaired for cheap to avoid costs in the future. There could be additional maintenance costs involved with buying gadgets that surpass the retail price tag. Take printers as a prime example. There are office printers available only for as little as $50. While it may be tempting to go buy one of these, first stop and think about other costs associated. For printers, that would be the cost of cartridges. Some $50 printers use cartridges that are as expensive as the printer itself. When you have to routinely change cartridges keeping up with the demands of your company, the costs of maintaining the printer can be very high. So, don’t forget to think about all the costs associated with an electronic gadget before you make your purchase. You may find cheaper deals online on international websites like eBay and Alibaba. But it’s smartest to buy electronics locally. The reasons are simple. You won’t have to ship your product overseas if it needs to be repaired. It’s far easier to enforce guarantees with local manufacturers rather than international ones. Plus, you will have to pay a lot for shipping. Whenever possible, buy your electronics from a domestic seller. Don’t buy electronics on discount shopping holidays like Black Friday. These “deals” are often not actual deals. Sellers manipulate prices to make buyers believe they are purchasing a gadget at a discount rate. Also, sometimes sellers offer older models as newer models for a price much higher than what you would have to pay for the older model. So, it’s best to avoid these deal seasons unless you are completely sure you know what you are buying. The above suggestions should help you keep costs down to a minimum when buying electronic gadgets for business use.